Get Your New Indoor/Outdoor Basketball Today! TO PURCHASE THIS GREAT PRODUCT! 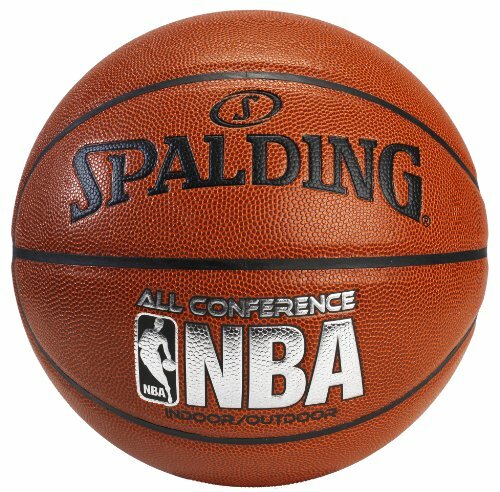 New and improved, Spalding brings you the All Conference basketball: an indoor/outdoor basketball that now comes with an enhanced composite PU cover for a better bounce, better grip, better control and an overall better playing experience. Also comes in multiple sizes so anyone can be a part of the game. WHO IS IT FOR? : Male basketball players of all ages. There are also smaller basketballs for women and children available. FINAL OPINION: This particular Spalding ball is perfect for indoor and outdoor play. The official size ball is well worth the price as you will have a hard time finding a better price for such a quality basketball. It is very durable for a driveway or on the street and especially on a real hardwood surface. You really can’t beat the great price.